Barcelona line-up: Valdés, Montoya, Piqué, Mascherano, Daniel Alves, Busquets, Xavi, Iniesta, Lionel Messi, Lionel Messi, Alexis Sánchez. 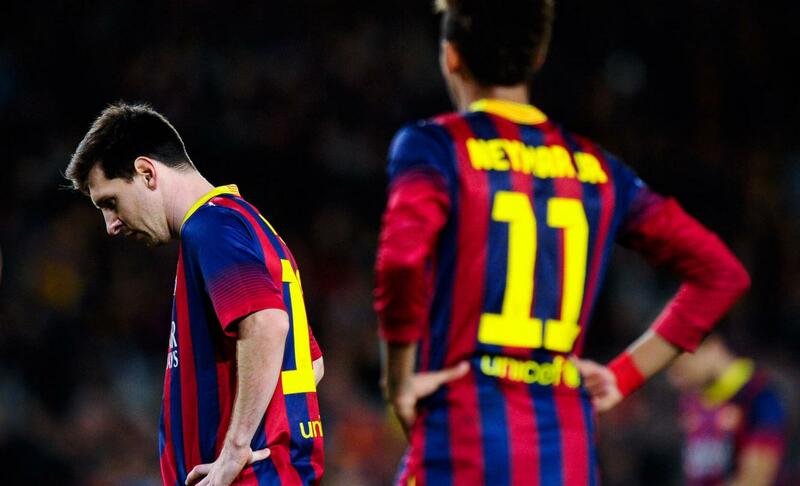 Tato Martino picked a strong line-up for the Barcelona derby, but the game didn’t go down as an easy one. Espanyol held off Barça to a draw until deep in the second half, right in the moment when Neymar pulled off a magic trick to break the deadlock at the Camp Nou. The Brazilian star received a pass from Busquets on the left, spotted Alexis Sánchez unmarked on the far post and assisted him by making the ball through between the legs of two opponents. A double nutmeg that allowed Alexis to slide in for an easy tap towards an empty goal. The Blaugrana wouldn’t score any more goals but at least also didn’t concede any, so the 3 points were secure and will continue on the top of the league. Barça will now host AC Milan next Wednesday, for the UEFA Champions League matchday 4.